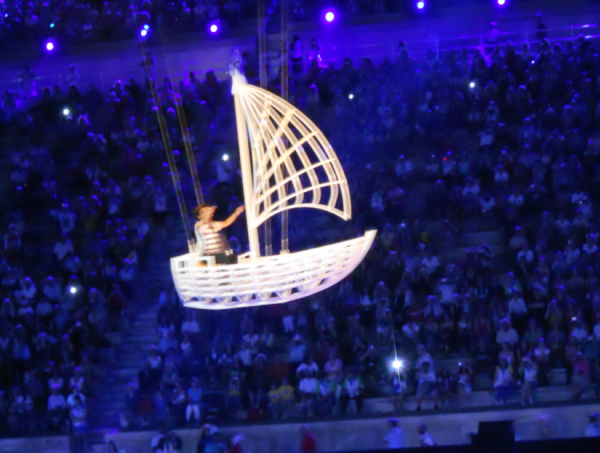 This summer, 6,500 athletes from 165 countries came together in Los Angeles for the 2015 Special Olympics World Summer Games. As part of a team of five invited international volunteers, Dr. Kellye Knueppel worked aside hundreds of local optometrists and optometry students, performing over 2,000 vision assessments over the course of seven days. 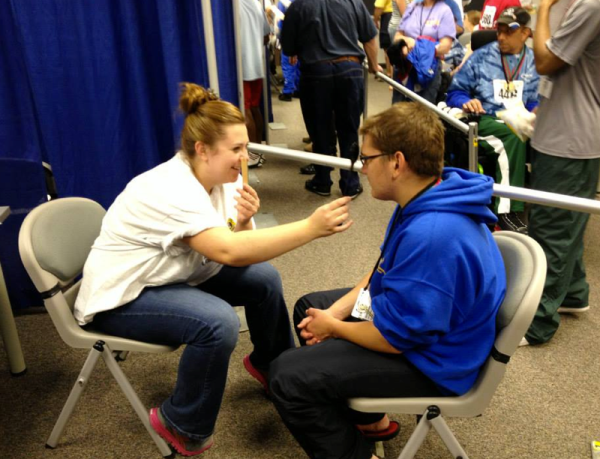 The Vision Therapy Center’s recent volunteer efforts at another Wisconsin Special Olympics games highlights the importance of detecting vision problems among people with special needs. Here are five facts about how this population is affected by functional vision problems. 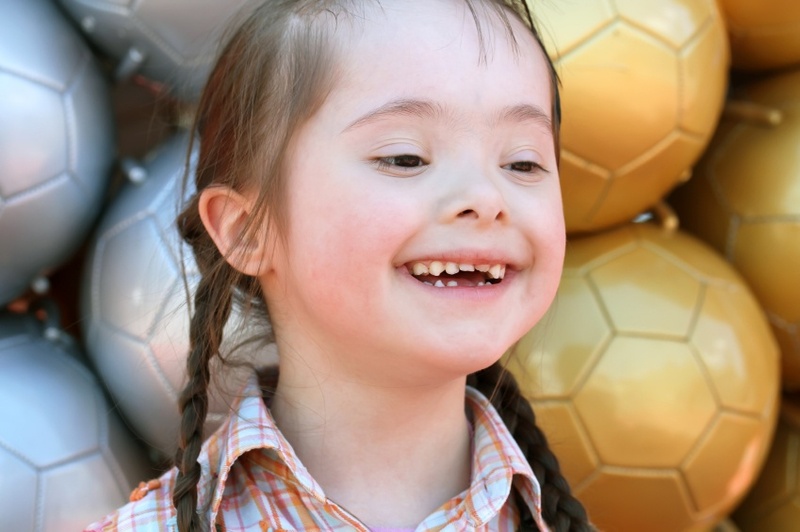 We all have our preconceived notion of what the Special Olympics are like. We’ve seen the heartwarming videos and the pictures. But what you don’t get, unless you are there first-hand, is something I found immensely surprising during my first volunteering gig: The Special Olympians are a lot of fun. 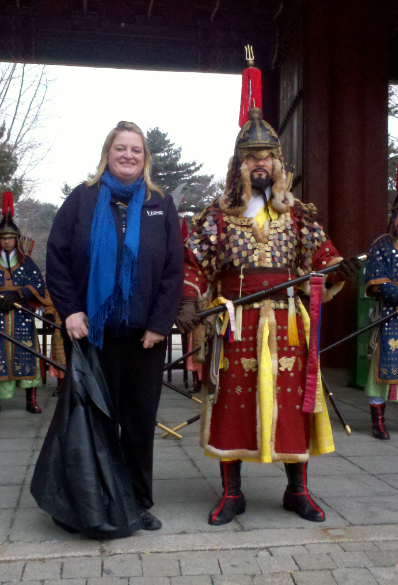 Dr. Kellye Knueppel and Kim Jelinske of The Vision Therapy Center are in PyeongChang, South Korea as volunteers for the 2013 Special Olympics Word Winter Games. 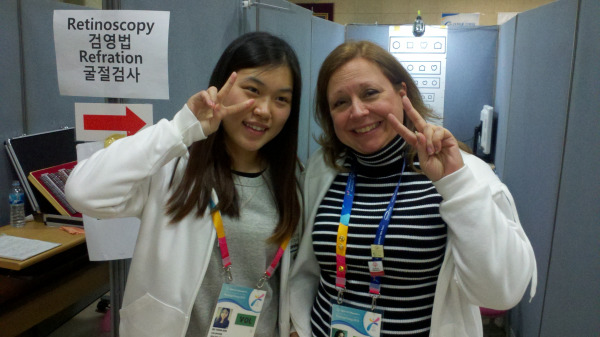 We're sharing pictures Dr. Knueppel is sending back to us, including this shot of the "two Kims" - our own Kim Jelinske and an athlete named Kim. 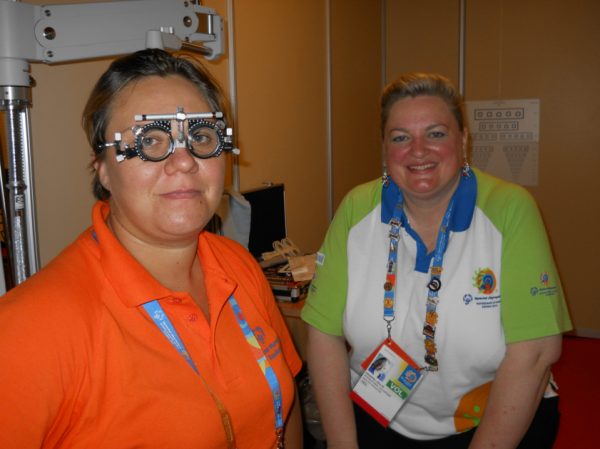 The Vision Therapy Center’s Dr. Kellye Knueppel has once again been selected to join an elite group of optometrists volunteering for the 2013 Special Olympics World Winter Games in PyeongChang, South Korea. Once again, The Vision Therapy Center has been lending a helping hand to the Special Olympics. 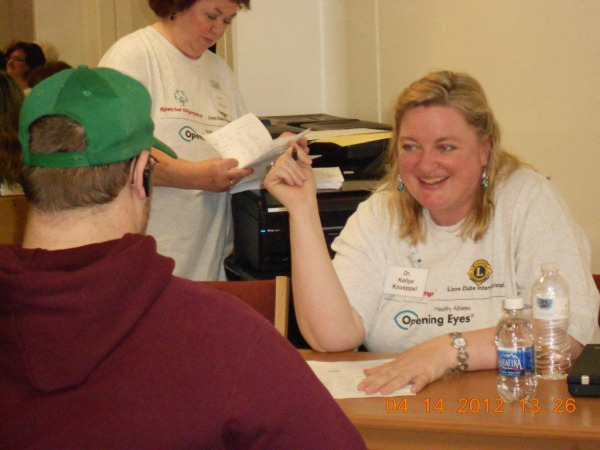 On April 14th, we were part of a large volunteer effort to provide vision screening during the Special Olympics Wisconsin State Indoor Sports Tournament. 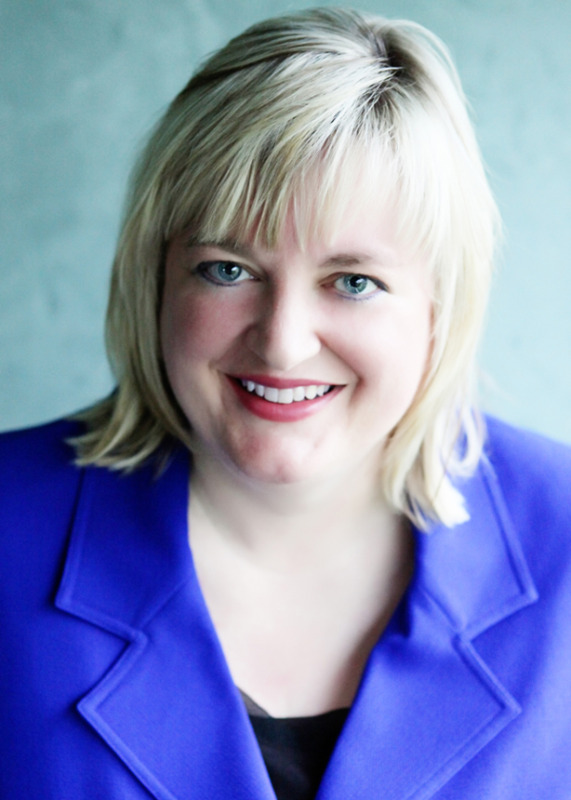 In the second part of this three-part series, I touched on Dr. Kellye Knueppel’s altruistic nature, which has led her to devote countless hours to the Opening Eyes program over the years. 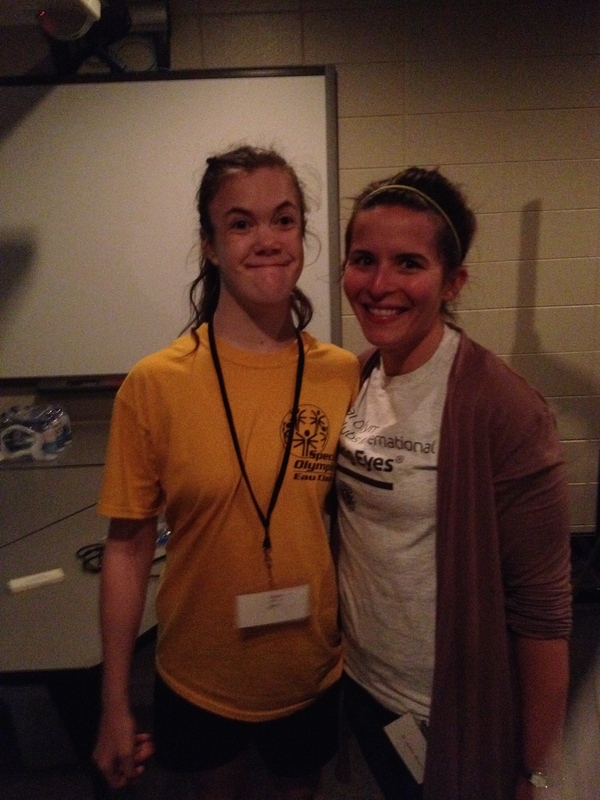 Her trips to the Special Olympics World Games are designed to help people with vision problems, without a doubt. But there is an optometric challenge to this undertaking. 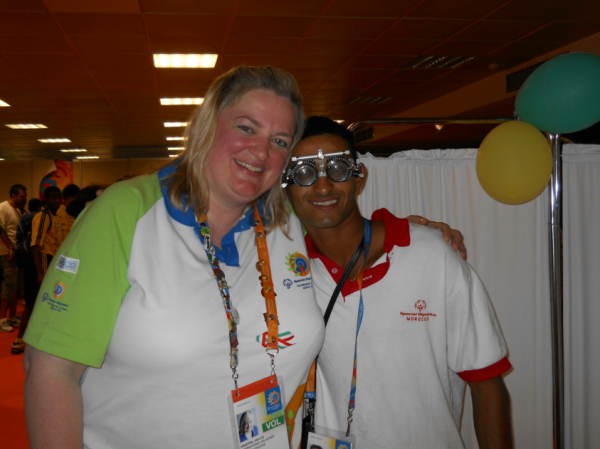 I recently talked to Dr. Kellye Knueppel about her trip to the Special Olympics World Games, where she volunteered as part of the Special Olympics Lions Clubs International Opening Eyes Program. I came away with the impression that her volunteering to help athletes with significant vision problems was one part altruism, one part heavy-duty career challenge. Dr. Kellye Knueppel’s trip to Athens was a combination of diagnosing difficult vision problems, meeting new friends, and experiencing an international thrill few of us will ever see.